I’ve been getting great feedback on the weekly favorite low carb recipes roundups, so here are this week’s top picks. I determine which recipes to include by reviewing the Low Carb Zen Facebook page‘s analytics for the week and declare the week’s favorite low carb recipes, as those that were liked, shared, visited and pinned the most out of everything we posted all week. That means millions of low carbers “voted” by their actions to let me know which of our shared recipes are the most popular among the real low carbers. Woot! 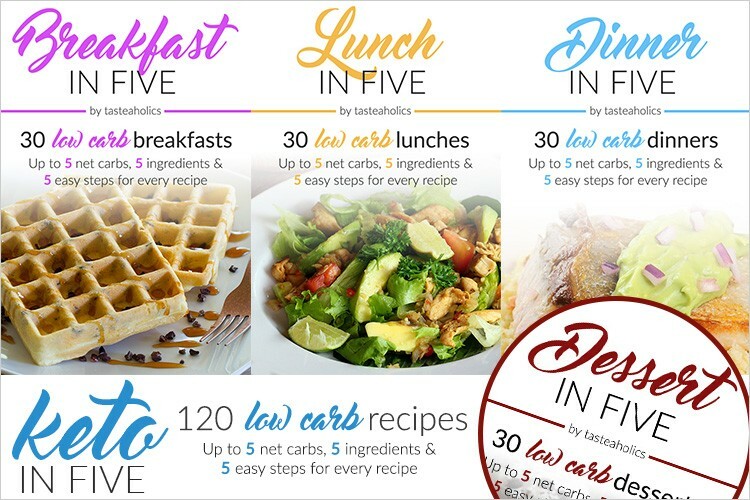 This Week’s Favorite Low Carb Recipes! No need to skip Mexican night with these Low Carb Cabbage Roll Enchiladas! Cannot get much quicker or easier than Low Carb Breakfast Balls! Low Carb Bacon Wrapped Chicken with cream cheese? Ohhhhh my! Low Carb Breakfast Casserole looks very simple, and very filling. Yum! Best Low Carb Chocolate Cupcake ever? I may need several judging sessions to decide! Some favorites combined into this Low Carb Chicken Taco Pizza – it’s like a marriage of awesome! Low Carb Cheesy Stuffed Peppers take a dinner classic and make them low-carb friendly. Yum! You may be able to sneak some nutrition into the family’s dinner with this Low Carb Pizza Spaghetti Squash Casserole! It’s a super Easy ‪Low Carb‬ Mexican Casserole that takes just a few minutes to whip up. Mmmm! To be honest, I’m not sure what Low Carb‬ Pad Thai actually is, but clearly some of y’all know! Har! Looks good, though. That’s it! Was your favorite from this week’s lineup included?